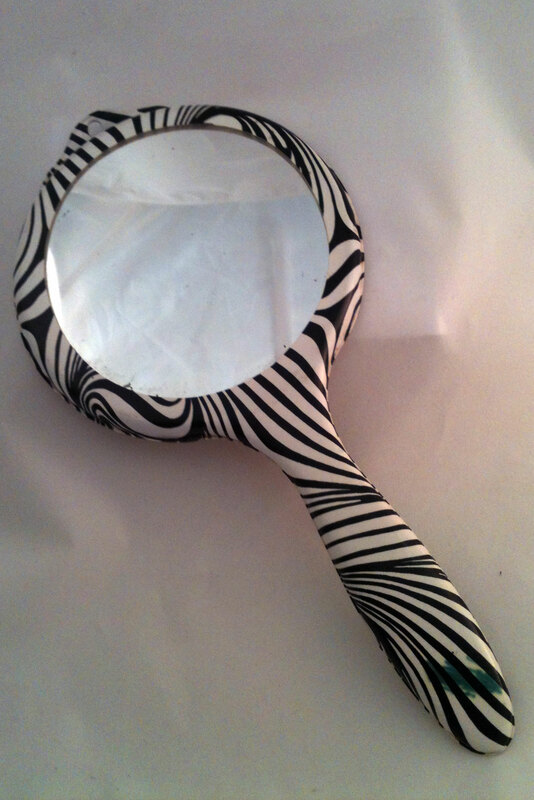 Retro hand mirror.6" X 12". Black and white. Black and white swirled paint optical art. Is this so mod you could just die or what? 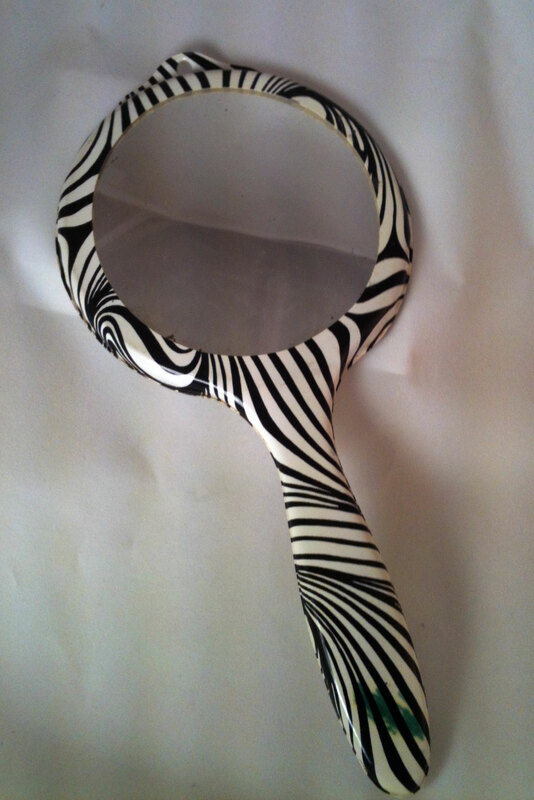 And what woman’s vanity could possibly be complete without this luscious hand mirror with the fabulously mod op art design? 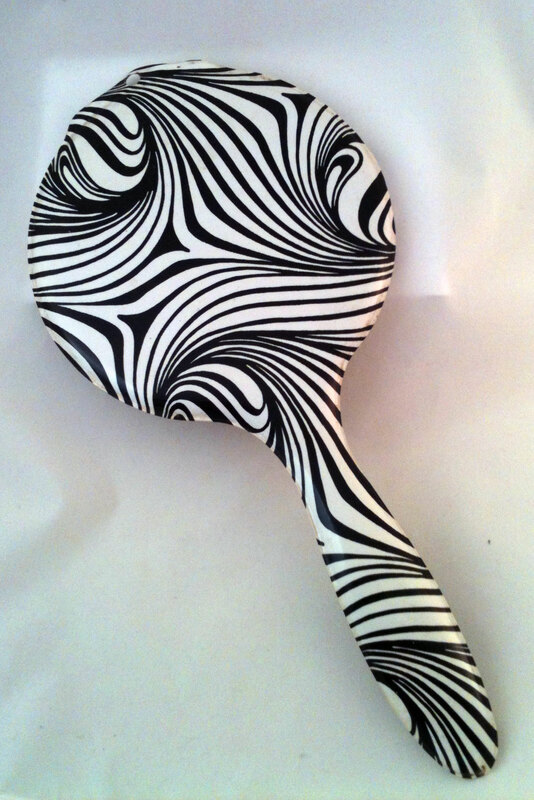 The coolest swirly curly opsy artsy hand mirror a girl could ever hope to own! Kazooni.com has been online for 5 years.